“What I’m saying is, you guys should be sure not to make the mistake of joining up.” He sounded serious. “Everyone made a fuss over you today, right? Everyone seemed happy, right? You probably thought something dumb like, ‘maybe I could get along with nice people such as these,’ right? You’re wrong. That’s their trick. They’re not acting out of any kind of selfless love. It’s a way to get you to convert. As you can imagine, Takimoto is not a very public person, so it’s difficult to find out about the details in his life. He used to have a blog and Twitter account, but he deleted those some years ago. Funnily enough, however, there was a short time after NHK!’s publication when he did make a number of public appearances, as evidenced by the schedule still listed on his literary agent’s website. 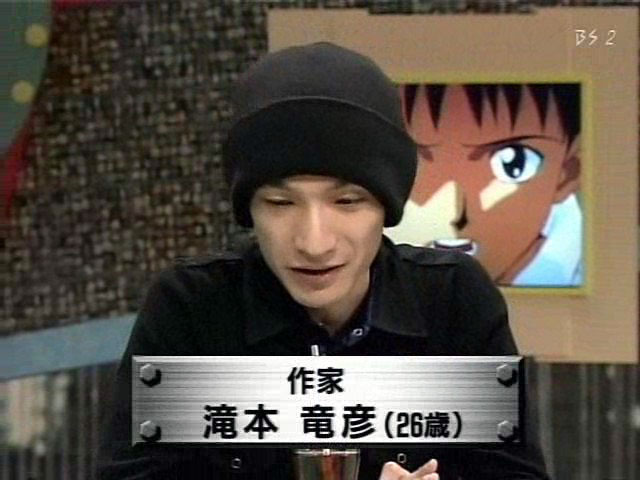 The most infamous of Takimoto’s public appearances was in 2005 as a guest on BS Anime Yawa (literally “BS Anime Night Talk”), a TV special hosted by Toshio Okada on the NHK BS-2 satellite broadcasting service. The specials feature round-table discussions on classic anime shows, as well as behind-the-scenes insight into the productions. The anime being discussed: Neon Genesis Evangelion. 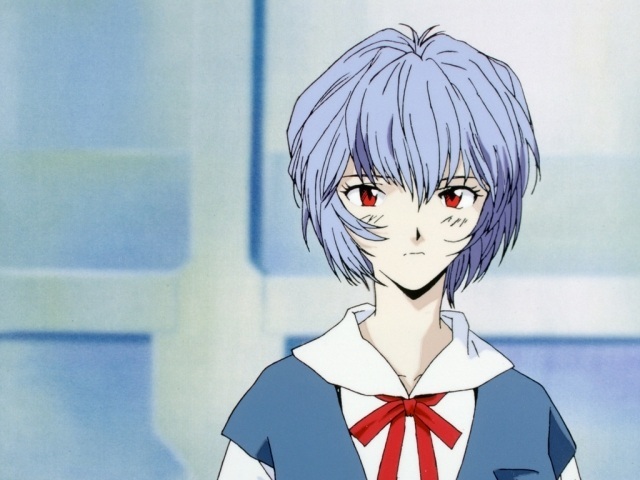 Also, this shouldn’t surprise anyone, but Takimoto has stated that he is a huge fan of Rei Ayanami. Between the years 2003 and 2010, Takimoto’s writing career fell by the wayside. He didn’t publish his next book, Boku no Air, until 2010, and it does not appear to have been well-received. Part of the reason behind the delay was Takimoto’s perfectionism; he apparently spent years revising Boku no Air until it was collected into book form. But another reason was crippling writer’s block, caused by what I can only imagine is a variety of complex issues. Honestly, it was always clear from Takimoto’s depiction of the hikikomori lifestyle that his own life was not a pretty one. His descriptions of hallucinogens were detailed enough to convince me that he didn’t get his info off Wikipedia. Some parts were clearly exaggerated for comedy’s sake, but there’s a sense of raw honesty within all that dark humour. The narrative’s structure conveyed the protagonist’s mood swings extremely well. 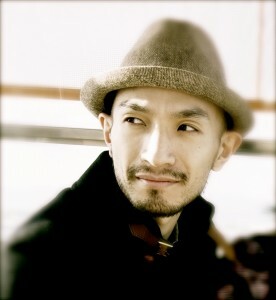 For his trouble, Takimoto was named “The Top Runner of the Hikikomori Generation” (引きこもり世代のトップランナー) after his debut. What sets Takimoto apart from other so-called hikikomori writers such as Yuuya Satou is that it always felt as if he was looking for a way out of his self-imposed prison. He wasn’t just satisfied with making self-deprecating jokes that glorified his lifestyle in a perverse kind of way. Welcome to the NHK! ended without Satou leaving his hikikomori ways, but the story did have a message of hope. That hope is different from the hope of spiritual salvation which Takimoto now preaches. Yet I believe that both messages come from a similar emotional place, from an author who knows better than anyone how difficult it is to find lasting happiness. Unlike Welcome to the NHK!, however, Takimoto’s story hasn’t ended yet. His life is still going through ups and downs, with no conclusion in sight. At this stage of his life, he is a prolific writer who updates his website almost every day. I haven’t read the novels he has posted online yet, but I would like to give them a try one day to see how his voice strikes me. Whatever he’s doing these days, I sincerely hope that Takimoto manages to find some kind of peace with himself. He deserves that as much as anyone. Best of luck to him. Posted on April 24, 2016, in Editorials and tagged boku no air, end of evangelion, faust, neon genesis evangelion, takehiko takimoto, welcome to the nhk. Bookmark the permalink. 16 Comments. That’s…. a sad story. I have read Welcome to the NHK and those afterworld, but this tale still hurt me deeply. I have been in situation similar to what depicted in this book, and I understand how hard it is to crawl out of it(I’m still not sure if I’m really out). Takimoto definitely has talent, so I can only wish him luck. P.S: Frog-kun, have you read Negative Happy Chainsaw Edge? The manga version is pretty good. Ah, I haven’t read Negative Happy Chainsaw Edge. It’s difficult to get my hands on the novel without importing them, which is expensive. I’ll check out the manga, though. Thanks! So can you make a post like this for Nagaru Tanigawa? Same. It’s been years since I watched the series, but that part still sticks out. I think it was too much for the viewers of the program, though (they played the actual clip). And to be fair, Takimoto did come off as kind of a creepster. While I don’t know nearly enough about Takimoto or mental health to diagnose Takimoto based on a novel he wrote, his self-professed problems are indeed very serious. I wish all the best for him. Thanks so much for this article, I read NHK last year and have been wondering what Takimoto has been up to since then. I really hope he finds some peace. Glad you found some worth in this article! I also hope that Takimoto finds some peace. Thanks a lot for writing this article. I just got around reading Welcome to the NHK and had the same question. That’s sad. Having watched the anime adaptation first I found the novel totally unremarkable. Until I got to the afterwords that is, realized I missed it all. I really wish I could see a proper English translation for the NGE interview, as I was not aware of it prior to reading this. The way you’re paraphrasing Takimoto leaves me a bit confused as to what he truly meant. I can’t tell whether he was being sarcastic, or if he truly appreciates the character. If he is serious about liking Shinji, I’m pretty sure there is more to what he said than simply ‘respecting Shinji for running away from his problems’ (which ultimately isn’t even the case, but I digress). Just given everything I know about Takimoto’s own real-life struggles with social anxiety, isolation and depression, I can grasp why he would empathize and root for such a troubled character. He probably sees a lot of himself in Shinji. The same goes for that opening scene in EoE. Most people focus on the shock value of what happens, but I always looked at it as a heartbreaking, character-defining moment. So it’s easy for me to understand why that would be among his favorites from a storytelling standpoint. Hopefully Takimoto’s creepy demeanor was just his way of coping with being camera-shy lol. All that aside, good job with the article. It’s nice to know this guy is still alive and well. I’m hoping he’ll make some sort of comeback in the future.